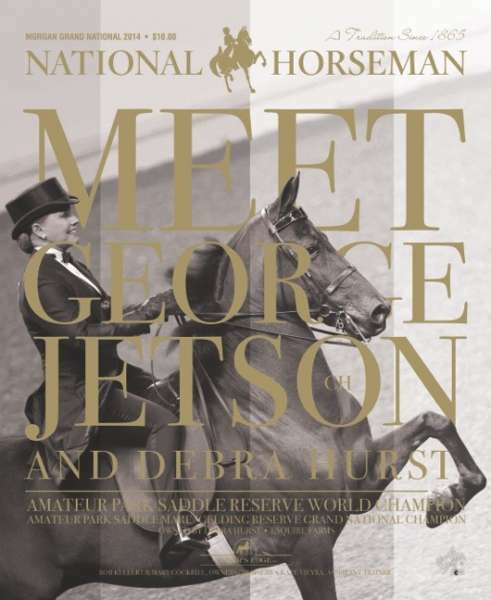 Since its beginnings in 1865, National Horseman has a long history of setting the standard for the Saddlebred industry and the show horse world. 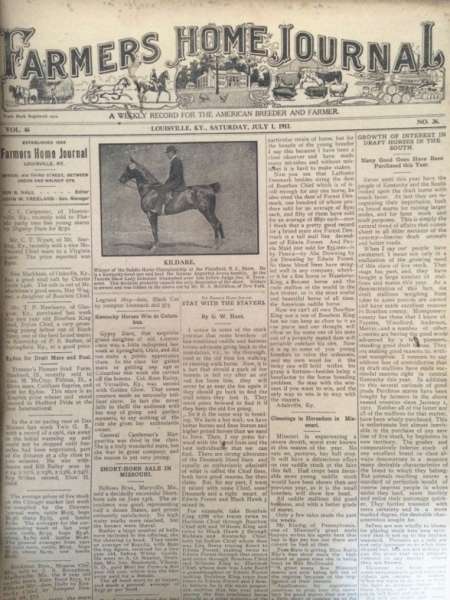 What began as The Farmer’s Home Journal, which brought farming and agriculture news to agrarian America, grew into a publication focusing largely on the “American Horse,” offering Saddlebred breed histories, sales, editorial columns and news, even producing some issues devoted entirely to the Saddlebred. 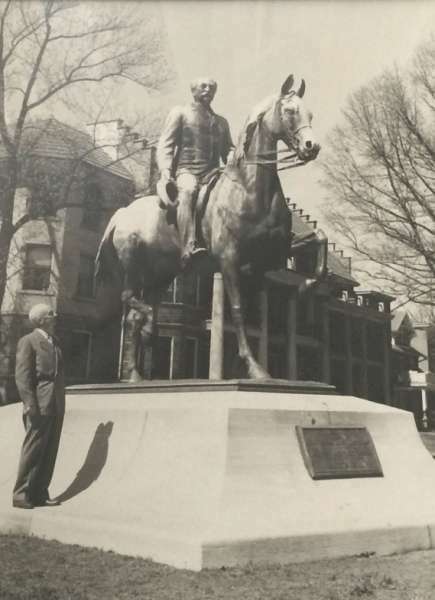 Farmer’s Home Journal publisher Ion Beverly "I.B.” Nall, along with General John Breckenridge Castleman and other Saddlebred supporters, established the National Saddle Horse Breeders’ Association (later to become the American Saddle Horse Breeders’ Association) in 1891 in our Louisville office. 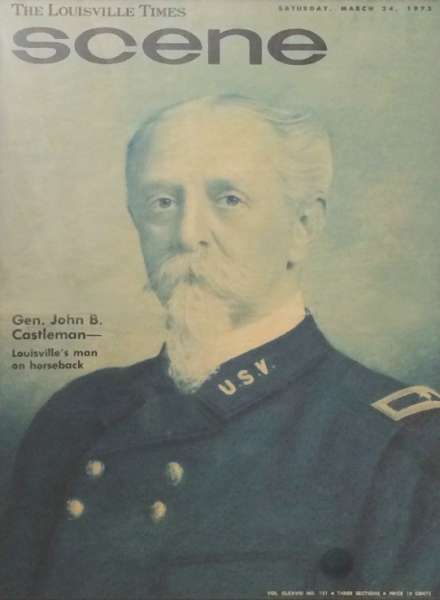 National Horseman’s prestigious Castleman Award is named after General Castleman (the ASHBA’s first president) and is given annually to individuals who devote their efforts to the advancement and promotion of the breed. 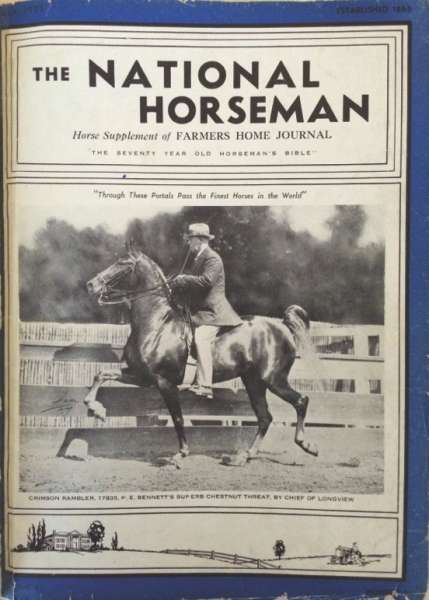 After brothers W. Vaughan Spencer and H. Phelps Spencer took over, they realized the “horse portion” of the Journal needed to have a larger focus, with improved print quality to match. 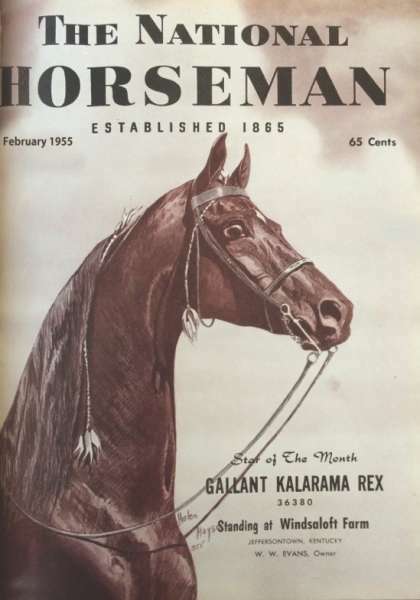 In 1935, they scrapped the newsprint format in favor of a modernized “magazine” format and adopted a new name – National Horseman. 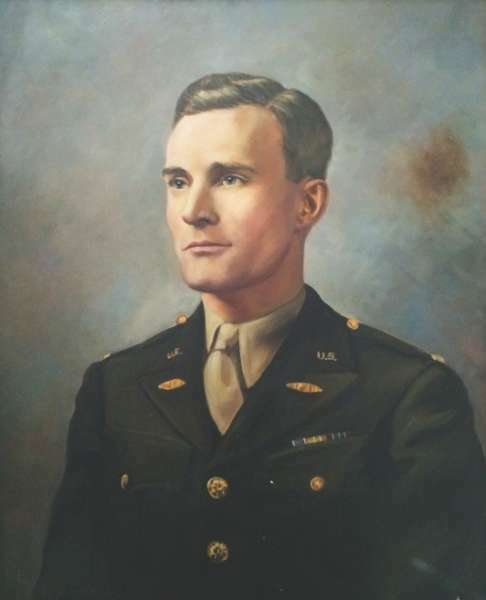 In 1943, the passing of Phelps Spencer opened the door for new publisher Henry Brown. In his 12 years leading the magazine, he expanded readership and improved the organization of contributing correspondents. 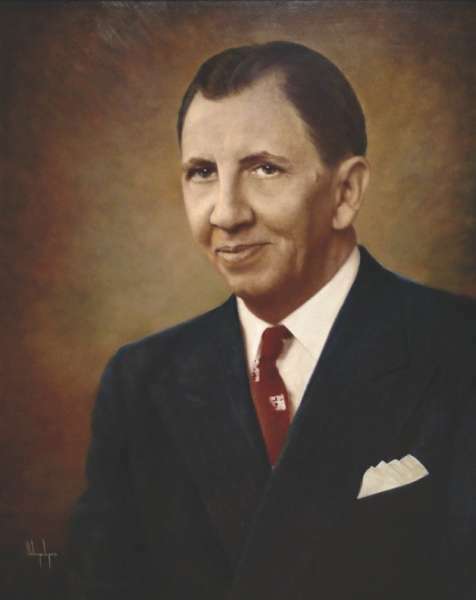 Former advertising manager and columnist Ray Sheffield ushered in the modern era of National Horseman when he took over as publisher in 1955. Known as one of the nicest individuals in the industry, Ray’s dedication and knowledge earned him the United Professional Horseman’s Association “Man of the Year” award in 1984. 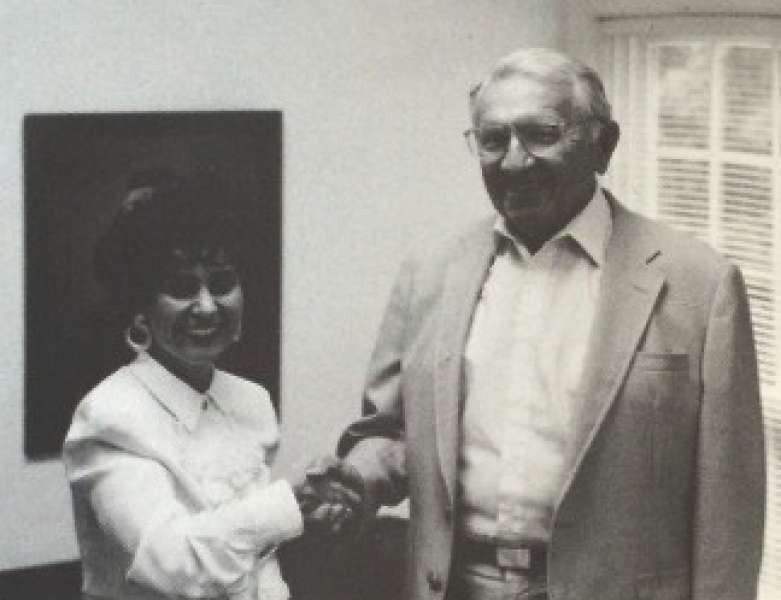 Ray passed the mantle to Karen Anthony, who in 1994 became the magazine’s first woman publisher. Karen remained strongly focused on the foundations set by her predecessors, displaying a commitment to the sport’s history and traditions, while at the same time responding to the desires of readership to place National Horseman on the cutting edge of magazine design. After nearly 20 years of innovation and leadership, Karen passed the publisher responsibilities over to her daughter, Allison Lambert, who purchased National Horseman Publishing in 2014. Allison’s 18+ years with the business has been integral to the growth and development of the magazine, and under her leadership, the magazine expanded its reach to the Morgan horse industry starting in 2014. Her dedication to quality and aesthetic can be seen on every breathtaking page of every issue—in the quality of the paper and ink, innovative design and layouts, stunning photography, and high-end appeal. In 2016, Allison took National Horseman to the next level with the launch of its second title, National Horseman Arabian, which focuses exclusively on the Arabian breed. "I’m proud to be a part of such a time-honored publication, and follow in the footsteps of my predecessors to continue leading the way in our industry,” said Allison. “As the next generation publisher, it’s my focus to provide our readers with the most accurate and up-to-date news, beautiful photography, informative and interesting articles, and cutting-edge design, while carrying on the traditions that National Horseman was founded on nearly 150 years ago."